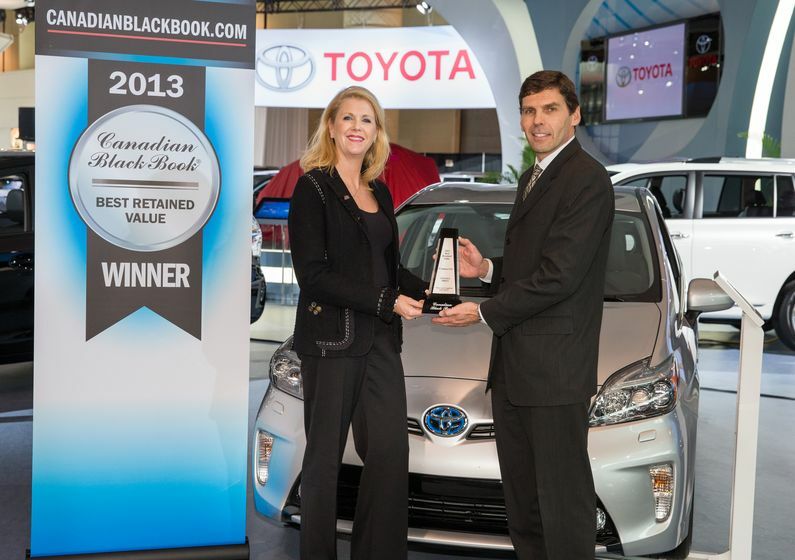 TORONTO, ON., (February 13, 2013) – Toyota Canada has finished first in eight vehicle categories for the 2013 Canadian Black Book (CBB) Best Retained Value Awards. That’s the highest number of any automobile manufacturer in Canada. For this year’s awards, Canadian Black Book analyzed 2009 model year cars and trucks and determined the vehicles that retained the highest percentage of their original MSRP after four years. Among the winners, Prius finished on top in the compact car segment, marking the first time a Prius has won a CBB Retained Value Award. 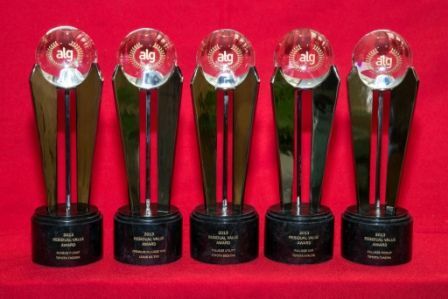 Also, the Lexus GS series came first in the luxury category; while the Toyota Tacoma, Tundra and Sienna led the way among trucks and vans; and the Toyota FJ Cruiser, Sequoia and Lexus LX 570 each took top spot in their respective SUV categories. 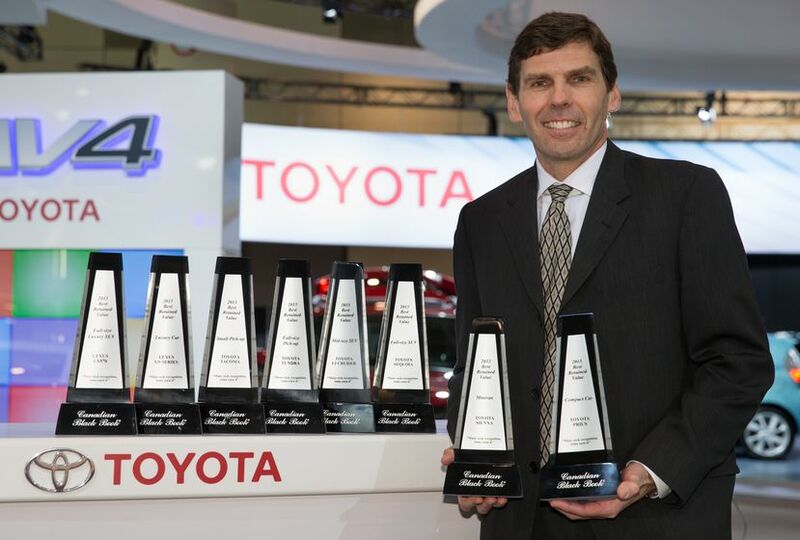 Also, five models from Toyota and Lexus have captured 2013 Canadian Residual Value Awards from ALG. These awards recognize 2013 vehicles that are forecast to retain the highest percentage of MSRP over the next three years. Winners include the Toyota Avalon, Sequoia, Tacoma and Tundra, and the Lexus GS 350. 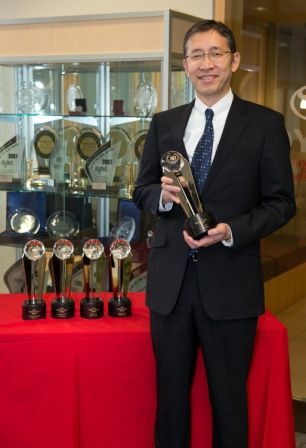 In addition, Toyota has earned the Vincentric Best Value in Canada Award for Passenger Cars for the 2012 model year. Vincentric also named Toyota the Best Hybrid Brand in Canada. 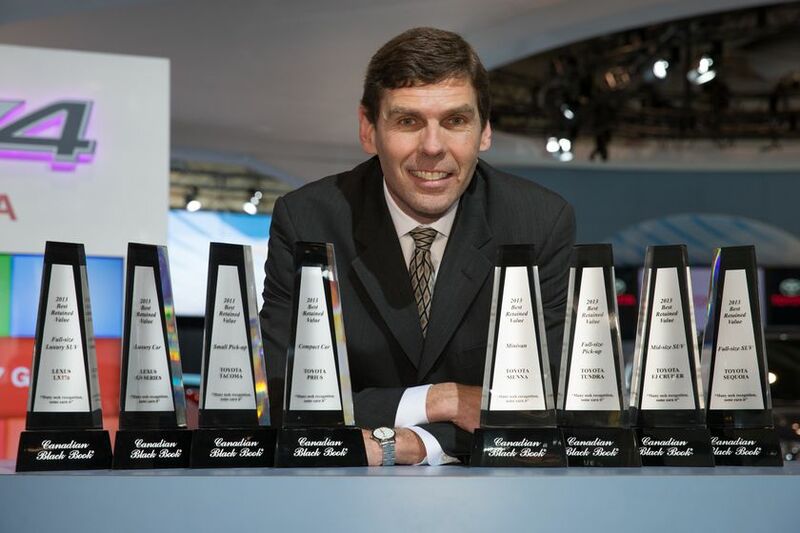 Plus, Toyota won 11 Best Value in Canada Awards for individual vehicles. 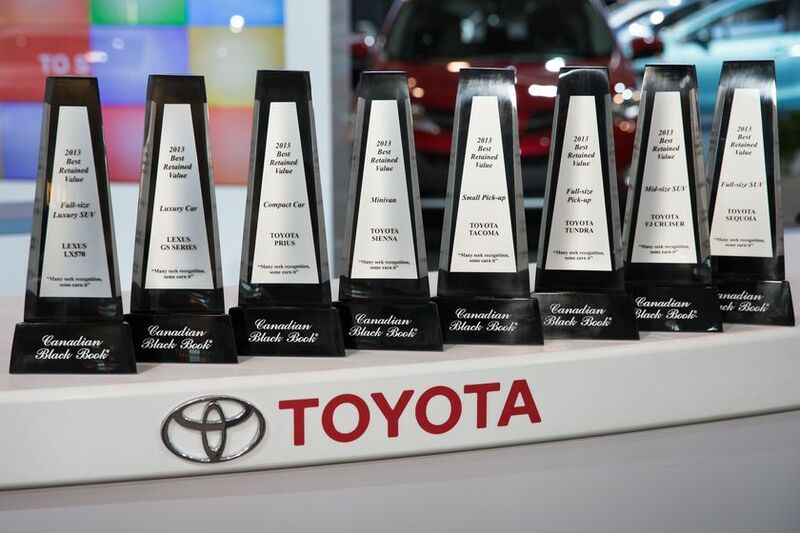 The Prius, Prius c, Prius v, Camry Hybrid, Highlander Hybrid, Avalon, Venza, 4Runner, Sequoia, Sienna and Tacoma all came in first place in their segments. For these awards, Vincentric assessed long-term value by measuring cost of ownership.